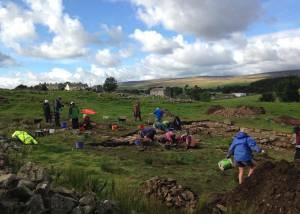 We have received the first set of radio-carbon dates from samples collected during our 2018 excavations at the Well Head settlement in Holwick, Upper Teesdale. Martin Green, AA's Fieldwork Co-ordinator, revealed the results at our AGM in Mickleton on Saturday 16th March. Dates have been obtained from charcoal found in each of the 3 trenches we opened last year and the results are as follows. Please see the accompanying photographs for the sample locations. 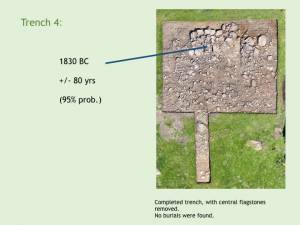 The charcoal sample came from the stone hearth located under the NW wall-line of the longhouse (F9) excavated in this trench. This gave a date of 1540 AD +/- 90 years. 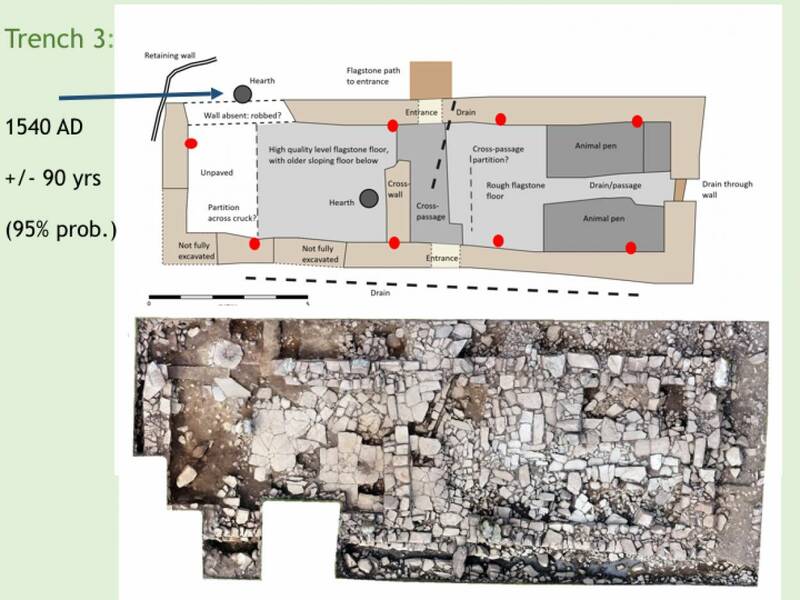 This suggests that the hearth was a relatively late feature in the sequence of this building's use. This trench, located about 150m west of the centre of the settlement on the flat top of a drumlin, contained an enigmatic curving length of bank (F4). We identified this tentatively as a Bronze Age funerary monument (despite the lack of evidence for burials), possibly a ring-cairn. Charcoal was found under a slab on the inner side of the fragmentary ring. This has yielded a date of 1830 BC +/- 80 years and confirms that this is indeed a Bronze Age feature. 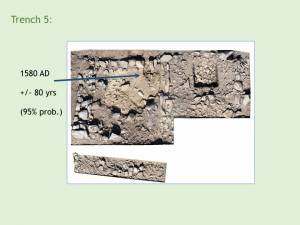 In this trench we excavated what initially looked like a two-celled building set in a scooped platform (F12). The crude foundation stones suggested a potentially early date. 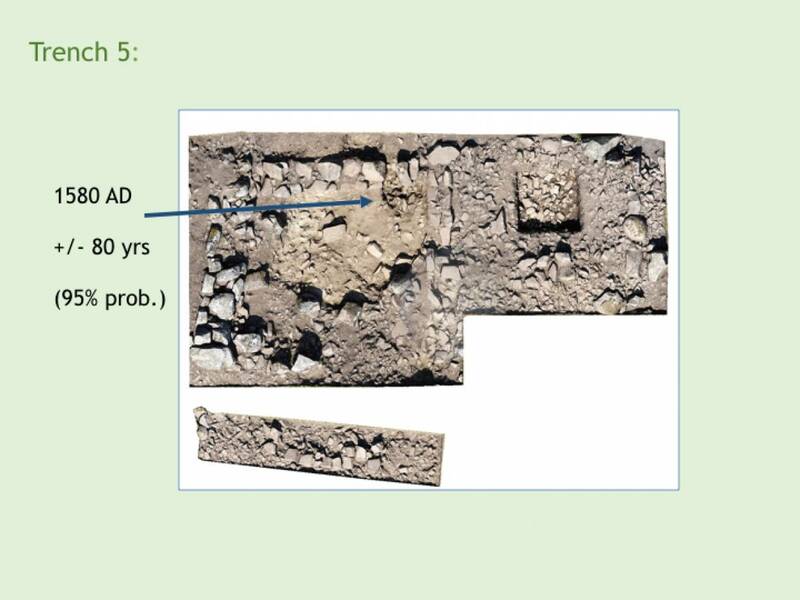 However, excavation revealed that the two cells differed in size and may have been built at different times. A construction sequence could not be established. 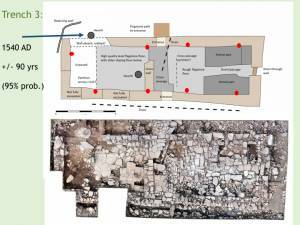 Charcoal was obtained from a surface around a burnt area in the NE corner of a large rectangular structure. This yielded a date of 1580 AD +/- 80 years and again suggests that the activity causing the burning occurred fairly late in the history of this structure's occupation. All radio-carbon dates above calibrated, 95% probability. We hope to be able to analyse more samples from Holwick in due course which will give us further dating evidence. Nevertheless, these first results provide an important piece of the jigsaw puzzle. 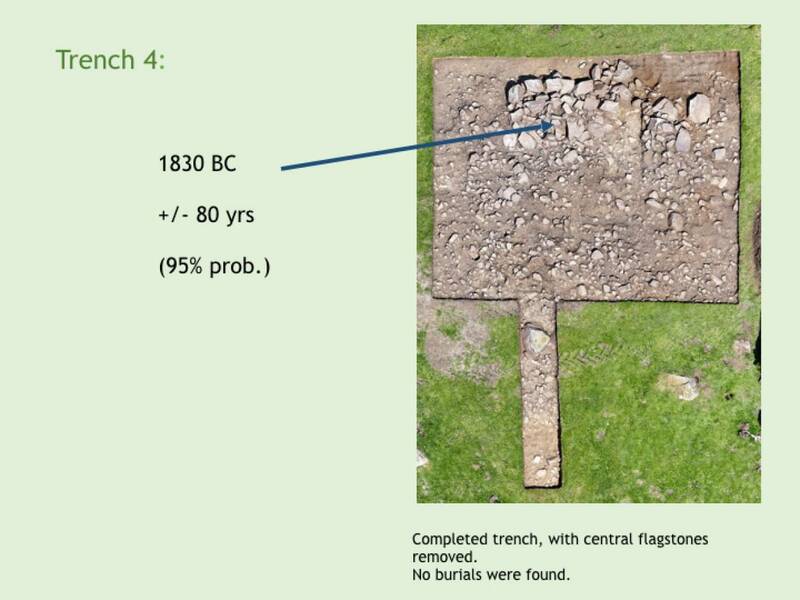 For more information about this project please refer to our Interim Report on the 2018 Excavation which can be downloaded from the Reports page of this website.